One of the truly rewarding activities in life is connecting with grandchildren, nieces and nephews. No one was better at that than my mother Norene Thomas. 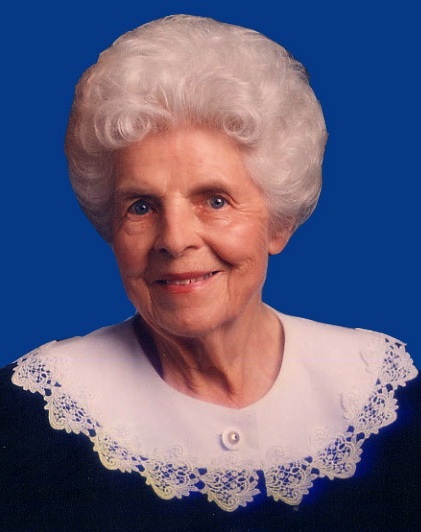 She had her children later in life and her children were a little slow in having grandchildren. But when they came, she was the grandmother “ready to go.” She had been a second grade school teacher and had saved many of her wonderful projects. She had more ideas and activities waiting than you could imagine. It has also been fun for me to see my friends get involved with their grandchildren. My neighbor, Nancy McCormick, was an elementary school principal. Over the past few years she has operated a nanny school once a week for her grandchildren. The kids come to her house and she has projects for them. I will often see them sitting on the lawn while she reads a book to them. 1. Fishing at Grandmother’s House: Mother had some old rubber boots and an old fishing pole that she would use when the grandchildren came to fish. The items that she needed for the project included a pair of old plastic boots the kids would put on for wading, and an old fishing pole or long stick that she would tie a 5- to 6-foot string to that also had a clothespin tied to the end where the hook would go. She had an old sheet that she would hook to the doorframe about two feet down from the top. The sheet was set and the prizes were ready to go when the grandchildren came. My mother worked the front side and my dad was on the backside in the fishpond. Mother would help the kids put on the wading boots and then give them the pole so they could put it over the top of the sheet. My dad would be on the other side and clip the prize to the clothespin. Then he would tug a little at the line as each child pulled the string back over the sheet, making it a bit of a challenge for them to catch the big one. They all had lots of fun. 2. Special Picture Letters: My parents went to Nauvoo on a mission. While they were gone, my mother was faithful to send the grandchildren picture letters. She would write the letter and every so often there would be a little colored crayon drawing to go with the descriptions. For example, she would write and tell them that they lived in a red brick house. Then next to that sentence would be a picture of a little red house. Sometimes she would write “we went to visit a beautiful lake” and right next to the description would be a circle painted blue. To this day, my mother’s letters are treasured in the grandchildren’s scrapbooks. A bit of my mother rubbed off on me. After I got my degree in home economics from BYU, I taught at Orem Junior High for three years. My path led me to writing a book on outdoor camping and cooking titled Roughing it Easy, which became a New York Times bestseller. It was not long before I found myself as a regular on NBC’s “Today” show for eight years. On the show it was my job to come up with unusual ideas for families to do activities that would bring them together. The ideas that I created for the show went into another book I titled Holiday Fun Year Round. I took great pride in creating this book, which is packed with ideas that mothers and grandmothers can use to bring their families together. This year I decided to create two DVDs to go along with this memory-building book. If you are looking for fun ideas to do with young children, you will love this special holiday book and DVD set offered below. Have fun creating and working with your families to build memories that will last forever. 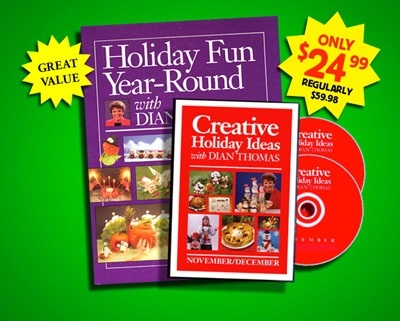 This special offer includes Dian Thomas' Holiday Fun Year-Round book plus her NEW 2-DVD set, Creative Holiday Ideas with Dian Thomas. You’ll love the holiday ideas in the full color book (nearly 200 pages). See the best of Dian’s ideas on the DVDs from her 30+ years on national television! Her warm, energetic personality comes to life on your screen. Regularly priced at $59.98, this package is being offered for the holidays at only $24.99 — just in time for the holidays. Don’t miss this opportunity to create some lasting memories that you’ll cherish forever. Go to www.DianThomas.com to order or send a note to Dian at info@DianThomas.com.